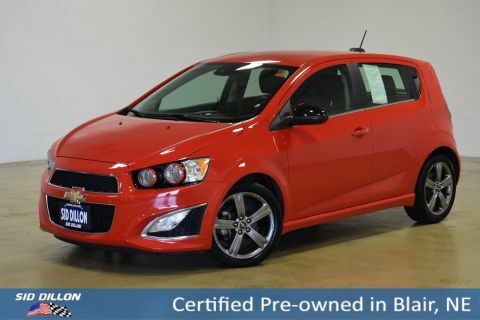 This Chevrolet Sonic has a dependable Turbocharged Gas I4 1.4L/83 engine powering this Automatic transmission. 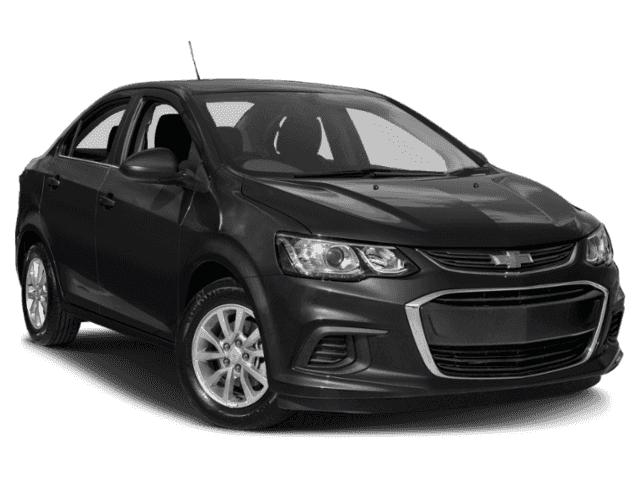 WHEELS, 16 (40.6 CM) ALUMINUM, TRANSMISSION, 6-SPEED AUTOMATIC (STD), TIRES, P205/55R16 ALL-SEASON, BLACKWALL, STEERING WHEEL, SPORT, 3-SPOKE LEATHER-WRAPPED with contrasting stitching, flat bottom, SPOILER, REAR, INTEGRATED DECKLID. 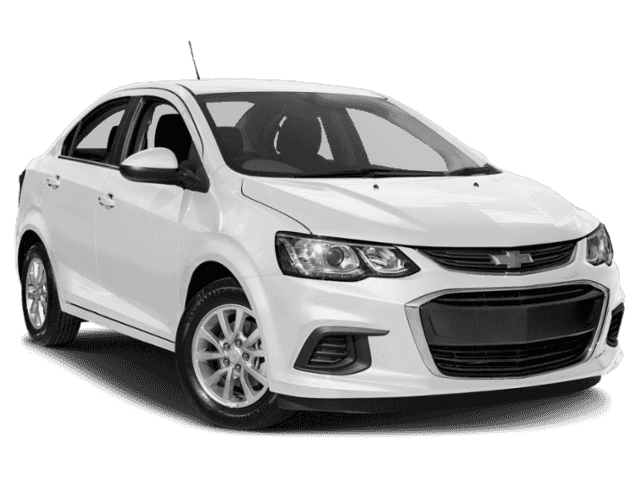 RS PACKAGE includes (BVG) sport body kit, (T3U) front fog lamps, Black Chevrolet emblems, (B6E) sporty rocker moldings, (D59) integrated decklid rear spoiler, (E38) RS lettering, (VWC) Piano Black accented instrument panel, (N35) sport, 3-spoke leather-wrapped with contrasting stitching and Black Chevrolet emblem, flat bottom steering wheel and (B54) carpeted front and rear, deluxe floor mats, CONVENIENCE PACKAGE includes (KA1) heated driver and front passenger seats, (AMM) driver, 6-way power seat adjuster, (AVJ) Keyless Open, (BTM) Keyless Start, (5H1) 2 spare keys, (UDC) enhanced Driver Information Center, (U80) Compass display, (N34) leather-wrapped 3-spoke steering wheel and (UVD) heated steering wheel (Also includes (BTV) Remote Vehicle Starter System.) 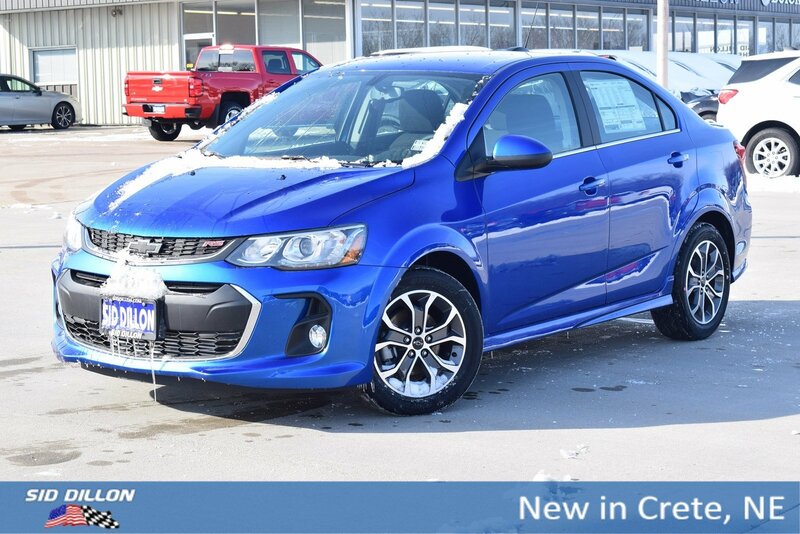 , SEATS, HEATED DRIVER AND FRONT PASSENGER, SEATS, FRONT BUCKET WITH RECLINE AND HEIGHT-ADJUSTABLE HEADRESTS (STD), SEAT ADJUSTER, DRIVER, 6-WAY POWER, REMOTE VEHICLE STARTER SYSTEM, ORNAMENTATION, RS LETTERING, MOLDINGS, ROCKER, SPORTY, LT PREFERRED EQUIPMENT GROUP includes Standard Equipment, LICENSE PLATE BRACKET, FRONT, KINETIC BLUE METALLIC, KEYLESS START, KEYLESS OPEN, KEY SYSTEM, 2 SPARE KEYS, JET BLACK, DELUXE CLOTH SEAT TRIM.